As you know, here in Indiana, we have majestic lakes, panoramic views, and lush green landscapes. The state is known for its corn production as more than 20% of the total corn supply in the United States comes from Indian. In fact, more than 50% of all cropland in Indiana is corn. At Indian, we pride ourselves in helping people out. That is what a career in the hearing health services industry can do for you. If you want to become a hearing aid specialist and help people in need of hearing aids, enroll with the Hearing Aid Academy program to educate yourself on how you can pass the hearing aid specialist licensing exam here in Indiana. A retired American basketball player, Tamika Catchings was born with a hearing impairment that affects both ears. From dominating the basketball court from 2001 to 2016 to life post-basketball, there isn’t much Catchings can’t do. Catchings also has an organization, Catch The Stars, aimed at helping youth by promoting literacy, fitness and mentoring. As a young child, Catchings was teased for the big, bulky hearing aids. Every day was a challenge for her. That’s when she chose to divert her mind into something productive and picked basketball. In the court, she was better than most of the kids. However, years later she started wearing hearing aids again. She is an inspiration to people all over the world. She never let the impairment become a disability for her. At Hearing Aid Academy, we provide the most competent and advance online education to help you pass the International Licensing Exam (ILE) administered by the International Hearing Society (IHS). To get licensed as a hearing aid specialist (HAS) here in Indiana, applicants are required to pass the written and practical hearing aid specialist licensing exam administered by the International Hearing Society (IHS). Hearing Aid Academy is a 100% online curriculum that offers its students plenty of benefits. To study this course, you need a working internet connection and a laptop. You can choose to study while going to and coming back from work, at night, early hours or whenever you feel comfortable. You can also arrange the learning schedule to meet your needs. When you enroll in a college, you need to shell out approximately $48,000 or more for a two years course. Also, you need to leave your daytime job, reorganize your schedule and leave your hobbies behind to focus on the course. But with HAA online curriculum, you can work regular hours while building your study schedule. We have priced our online course at a competitive price just to help more and more people clear the hearing aid specialist licensing exam here in Indiana. With monthly payments starting as low as $199, this is just a small amount as compared to fee levied by traditional colleges. Hearing Aid Academy also provides financial assistance to those who qualify for the program. By enrolling today, you can save money while enjoying the flexibility that comes with it. Moreover, there’s no commuting fee, no rent, and all the education material is available online. 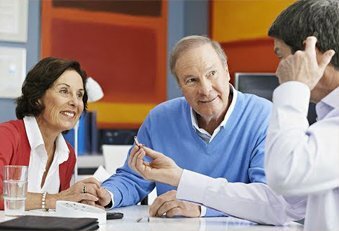 If you are planning to take the traditional route and get licensed as a hearing aid specialist in Indiana, you need to invest hundreds of dollars along with 2 or 3 years of your life. Do you have that time in your hand? Can you leave your well-paying daytime job? Is it possible to take admission in a university and bear the overhead expenses? Hearing health service is a growing industry and since the foundation of the academy, we have helped students, like you, become HAS within 3 to 6 months. The Hearing Aid Academy self-paced program is spread over 100 hours of video training and 31 modules. Therefore, you can choose to complete it as fast or as slow as you want. Each student taking up the Hearing Aid Academy online course is assigned a qualified hearing aid specialist for a one-on-one consultation. He will work with you through the course and help you understand the modules or clear your doubts anytime. The HAA instructors have more than 30 years of experience and work with you to ensure you are never alone through the program. This is one of the most comprehensive and advanced online programs that teach students what they need to learn to pass the written and practical hearing aid specialist licensing exam here in Indiana. For more than a decade, Hearing Aid Academy has effectively prepared students with the necessary tools to become successful healthcare providers in the hearing aid industry. We have qualified and talented instructors on board who have developed this specialized training from their years of knowledge, hands-on experience, and educational resources. Our course is available online 24/7. Therefore, you have the advantage to study at your pace, work according to your schedule and learn from classroom lectures, video clips, animated clips, voice lectures, web sessions, and text assignments. Enroll with the Indiana hearing aid specialist licensing program today. Call the Hearing Aid Academy at (903) 487-0097 or email at admissions@hearingaidacademy.com.